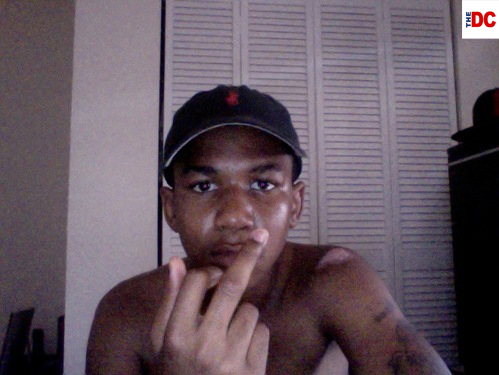 When I heard George Zimmerman refer to “God’s plan” in his interview with Sean Hannity, I a) immediately understood him to be referring more to the fact that he had survived than that Trayvon Martin had been killed and b) just as immediately knew that the press would have a field day depicting Zimmerman as some crazed hater out “doing God’s will” by murdering teenagers. 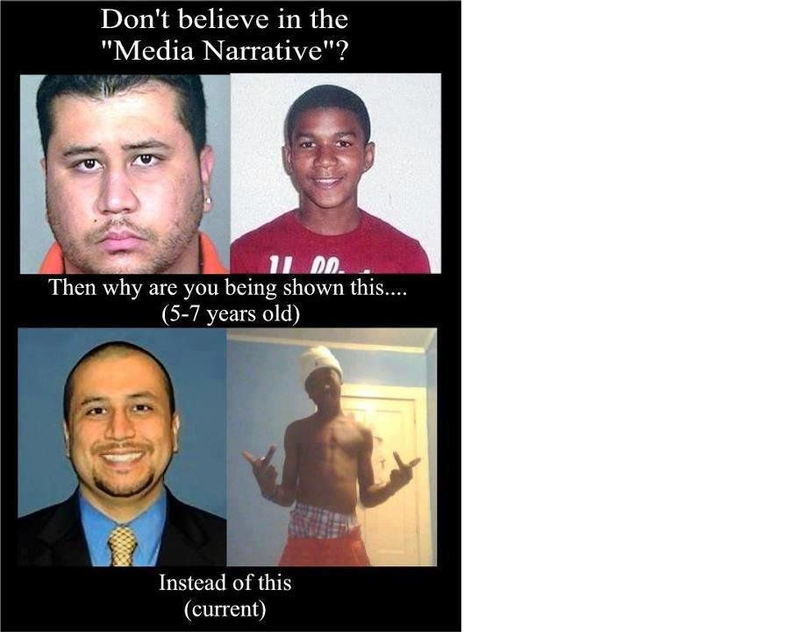 Because that’s the way they’ve exploited this tragedy from the very beginning in terms of prejudicing every single story against George Zimmerman. I would argue that, yes, we probably have a very different God. 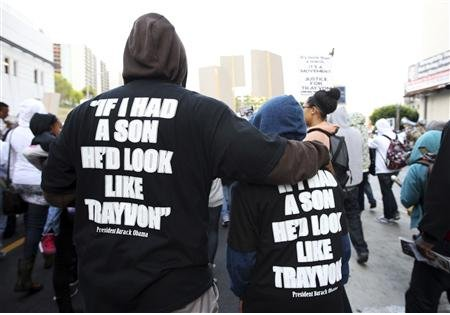 Trayvon Martin’s father has a god who has no plan. 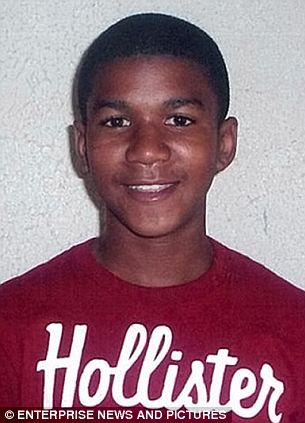 God didn’t have a plan that night that Trayvon Martin was shot. The Martin family god isn’t smart enough, or isn’t powerful enough, or isn’t even good enough, to have had a plan. The Martin family god wasn’t even there that night. Because their god isn’t very much good for anything. My God IS smart enough, because my God is omniscient and knows everything. My God IS powerful enough, because He is omnipotent and knows everything. My God IS good enough, because He is omnibenevolent and serves as the universal standard throughout the universe that He created as to what is good. And my God WAS there that night, because my God is omnipresent and his presence fills His universe such that nothing was beyond Him. So you need to understand that the people who are attacking “God’s plan” and the people who most hate God to begin with are largely, albeit not exclusively, the same people. On my view, and apparently on George Zimmerman’s view, God WAS there the night that Zimmerman shot Trayvon Martin and Trayvon Martin died, and God DID have a plan. These are simply necessary theological premises for anyone who takes the Holy Bible even remotely seriously. There are many things which happen in this world – a world tainted by the Fall described in the first chapters of Genesis – that we don’t and frankly can’t understand. But that doesn’t make it any less true. God is not the author of evil. He did not “invent” evil OR good, for that matter. God IS good; goodness is an essential quality in God that necessarily flows from His character. But when God created free-willed beings (angels and humans), God knew that these free-willed, finite, limited beings would ultimately be corrupted and would choose (“invent”) evil out of their natures. Neither the fall of Lucifer and a third of His angels nor the subsequent fall of Adam and Eve in the Garden took God by surprise. There is a line from a movie: “Infinite goodness is creating a being you know in advance is going to complain.” God knew the fall would happen; He didn’t WANT it to happen or will it to happen; but He knew THAT it would happen. He knew that limited, finite beings would ultimately selfishly choose to reject Him and His plan. But God had a plan that would overcome evil and bring about a greater good. In fact, a good so great that it would overcome and outweigh all the evil that was done by His created, free-willed beings since the beginning of time. In my own theology, the rebirth of Israel was a major component of God’s prophetic plan. Ezekiel 37:1-14 as dried up, dead, desiccated bones that will return to life. Which is exactly what happened in the miracle of 1948 when a nation that had been dead for centuries returned to life. Jesus is the Son, the Word of God (John 1:1-3). And yes, Jews have largely rejected God’s Son. But God never turned His back on His people the Jews. God’s hand is on the Jews, whether they like it or not. They ARE “His people.” In the fullness of time, according to His divine plan, God WILL return to Israel and will ultimately bring them to a point in which He “will pour out on the house of David and on the inhabitants of Jerusalem, the Spirit of grace and of supplication, so that they will look on Me whom they have pierced; and they will mourn for Him, as one mourns for an only son, and they will weep bitterly over Him like the bitter weeping over a firstborn” (Zechariah 12:10). Now, with that, if I say, “The Holocaust was God’s plan,” it can very easily be framed in a way that sounds utterly hateful and abhorrent. It can easily be made to sound heartless. It is a statement that is a “Godsend” for God-hating propagandists. But it was part of God’s plan, nevertheless. God did not WANT the Holocaust to happen; God did NOT want 6 million Jews to be killed as if they were insects to be exterminated. But God also did not want the Jewish people to forever continue to wander without a land as they had prior to 1948. And God did not want them to continue to wallow in unbelief of the God who had called to them through Abraham, through Isaac, through Jacob – and yes, through their Messiah Jesus. It was as a result of the Holocaust that a shamed, grieving world finally allowed the creation of a Jewish state in 1948. Simply put, no objection could outweigh the suffering that the Jewish people had suffered; no sufficient reson could be provided that the Jews should not have a government to protect them against the next monster to come along. And so in 1948, accompanied by miracle after miracle, the nation of Israel emerged and triumphed over an enemy that outnumbered them fifty to one who was as determined to exterminate them as Hitler had been. What’s the flip side of that view? The flip side is that the Holocaust was merely an event that had no meaning and no higher purpose. It was just “one of those tragic things.” God didn’t have any plan and He wasn’t involved. God was just casually watching the earth like a cosmic fishbowl for His amusement. There is no purpose to evil and suffering; in fact, there’s really no purpose in anything. We might talk about “God” to comfort ourselves, but really there is nobody upstairs. And George Zimmerman’s words, “I feel it was all God’s plan,” are incorrect simply because God isn’t the kind of being who is capable of having a plan or seeing His plan through, is He? Which God literally hung in death, having been executed for His people? Re-read Zechariah 12:10 and then read the Gospel of John for that answer. Yes, God was at Auschwitz. God was there. The same God that Christians know who hung and died on the cross for our sins was there in the very darkest moment of the Jews. God grieved. But God had a plan. It comforts me to believe – to know by faith – that God has a design, a plan, for even the terrible things that happen. If one of my loved ones were shot and killed – whether by accident, in an act of self-defense, or in a murder – it would comfort me to believe that God had some greater purpose for allowing that death to occur. I hope that the Martin family can get to the point in which they care capable of accepting comfort in the belief that God had some higher purpose in allowing their son to be killed. But while I agree that tactically, given the sheer theological ignorance and the left’s clear intent to frame and blame George Zimmerman in every way imaginable, George Zimmerman’s words were probably not the wisest, I nevertheless can’t see anything wrong with what he said from the standpoint of someone who bothers to read his Bible. God could end evil today. All He would have to do is wipe you – yes, that’s YOU – out. Along with me. Because of the evil that WE do. One day, which I believe is coming soon, God WILL finally end all evil. Until that day, I believe that God ultimately has a purpose for everything that happens in this world. And a plan to bring ultimate good to fruition. 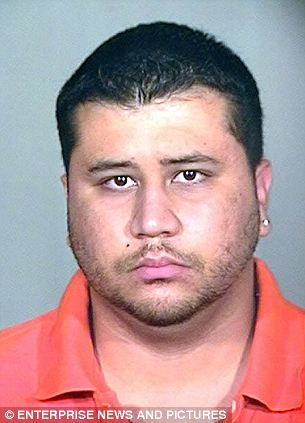 ABC News has re-digitized video of George Zimmerman taken shortly after Trayvon Martin‘s shooting. The video was unveiled as an exclusive this morning on”Good Morning America.”ABC was the first news organization to show the original tape. 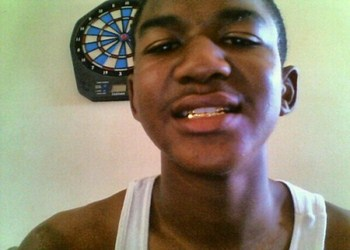 Neighborhood Watch volunteer Zimmerman has said he shot 17-year-old Trayvon in self-defense. 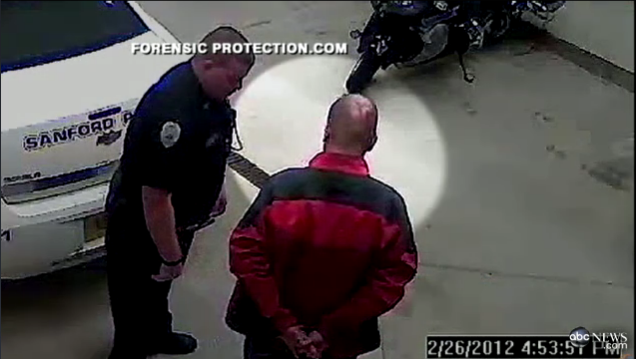 The video shows Zimmerman arriving at the Sanford Police Department within an hour after the shooting. What is most damning about the video is the fact that it confirms that Zimmerman WAS wearing a red jacket exactly as the eyewitness described in conformation of his account. 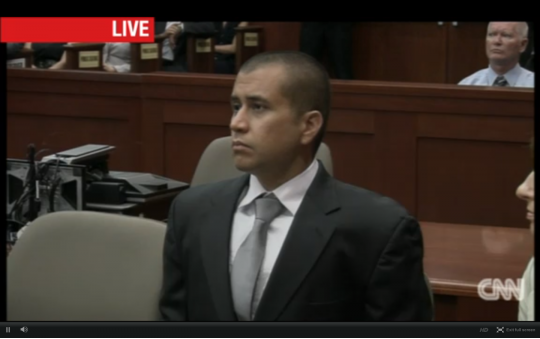 And a close analysis of the video does in fact seem to reveal an injury to the back of Zimmerman’s head. 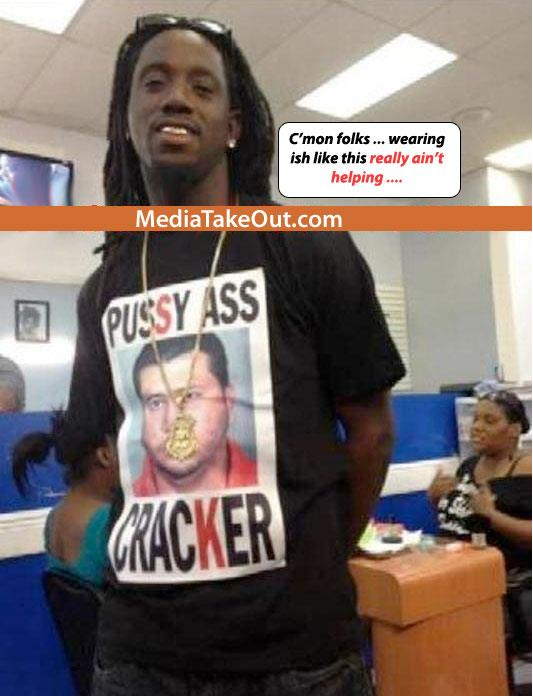 So we’ve got Zimmerman saying he was attacked and beaten. We’ve got an eyewitness saying that Zimmerman was on his back being attacked and beaten with Trayvon Martin on top of him and beating on him. 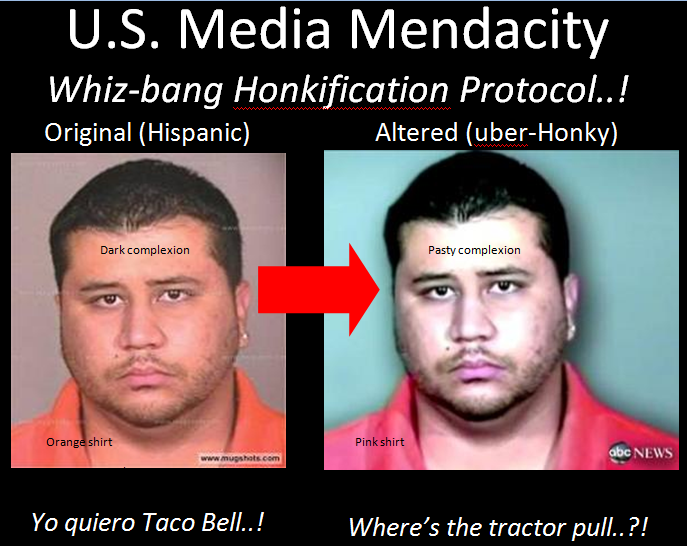 We’ve got the officer on the scene noting Zimmerman’s inuries to his nose and back of his head in his report. And we’ve got the police telling us that one of the reasons they’d let him go was that he had clearly been attacked and beaten which documented why he legitimately believed he was in danger. But I’ve long-since given up trying to explain reality to liberals. Democrats are genuinely evil. Their souls swim in an ocean of lies. Obama interfered in this case to illegitimately take sides; Democrats all over the place (e.g. 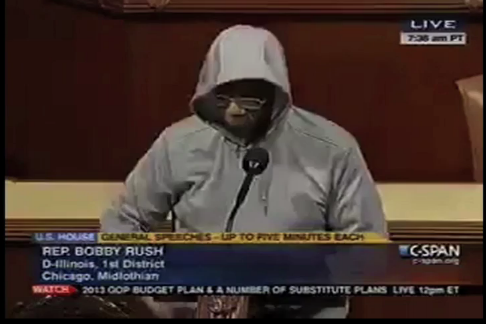 Bobby Rush) crawl out of their nests to put on “hoodies” and further hype the case. 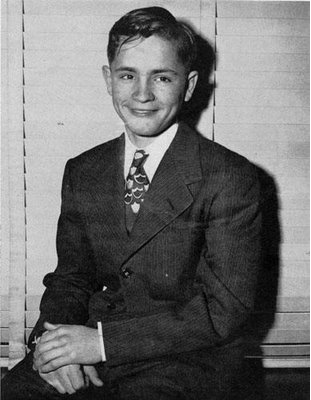 Democrat Frederica Wilson shrieked anger over the “sweet young boy who was hunted down like a dog.” The New York Slimes labels Zimmerman a “white Hispanic” reminiscent of the Nazi Mischling laws to deceitfully and demagogically insinuate “white” into the turbulent mix. Obama donor Spike Lee posts the address of a terrorized elderly couple out of the belief that he’s sicking vigilantes on George Zimmerman. 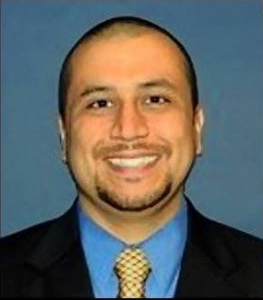 The New Black Panthers – an organization that Obama refused to prosecute for obvious voter intimidation – posted a $10,000 “dead-or-alive” bounty on Zimmerman’s head. And seven black teens comitted a racist hate crime in beating a Hispanic in an obvious act of racial vengeance. Democrats pull this crap as a matter of routine: they take an event and just fill it up with lies in order to score political points on the basis of sheer demagoguery. And usually by the time the media gets around to correcting the record with facts, Democrats have won a political victory and moved on to the next event to fill up with lies to score political points on the basis of sheer demagoguery. Again and again they benefit from their lies in the short term and by the time the factual record emerges to expose them as liars the people are no longer paying attention. While the nation teeters closer and closer to implosion and collapse. For Democrats, “truth” is “racist.” And so they despise the truth with a fanatical passion and declare total war to end truth in America once and for all. Race-baiting demagogue Jesse Jackson says that Trayvon Martin proves “blacks are under attack in America.” And George Zimmerman proves that “Hispanics are under attack in America.” By Democrat blacks.